A Texas man pleaded guilty Wednesday to plotting to assassinate Saudi Arabia's ambassador to the United States, agreeing to hire what he thought was a drug dealer in Mexico last year for $1.5 million to carry out the attack with explosives at a Washington restaurant. 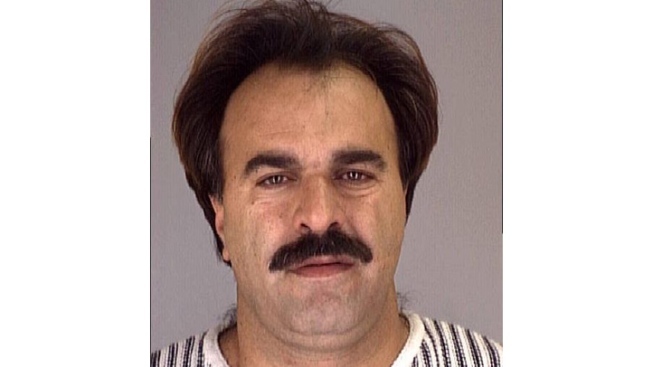 Manssor Arbabsiar, 58, entered the plea to two conspiracy charges and a murder-for-hire count in U.S. District Court in Manhattan, where Judge John F. Keenan repeatedly asked Arbabsiar whether he intended to kill the ambassador. Arbabsiar, a U.S. citizen who holds an Iranian passport, said he did. Sentencing was set for Jan. 23, when Arbabsiar will face up to 25 years in prison. A trial had been scheduled for January. President Barack Obama's administration has accused agents of the Iranian government of being involved in the plot. At the plea, Assistant U.S. Attorney Edward Kim asked Arbabsiar if officials in the Iranian military were involved in the plot. Arbabsiar said they were. Arbabsiar, who lived in Corpus Christi, Texas, for more than a decade, said he went to Mexico last year to meet a man named Junior, "who turned out to be an FBI agent." He said that he and others had agreed to arrange the kidnapping of the ambassador, Adel Al-Jubeir, but Junior said it would be easier to kill the ambassador. Arbabsiar has been held without bail since he was arrested Sept. 29, 2011 at John F. Kennedy International Airport. He was brought into court Wednesday in handcuffs. He spoke English and did not use a translator, despite saying he understood only about half of what he read in English. Bearded and bespectacled, he smiled several times during the proceeding, including in the direction of courtroom artists who were seated in the jury box when he entered court. Defense lawyers say Arbabsiar suffers from bipolar disorder. Kim said that if the government had proceeded to trial, it would have presented a jury with secretly recorded conversations between Arbabsiar and a confidential source, along with Arbabsiar's extensive post-arrest statement to authorities and emails and financial records. Authorities have said they secretly recorded conversations between Arbabsiar and an informant with the Drug Enforcement Administration after Arbabsiar approached the informant in Mexico and asked his knowledge of explosives for a plot to blow up the Saudi embassy in Washington. They said Arbabsiar later offered $1.5 million for the death of the ambassador. Arbabsiar admitted Wednesday that he eventually made a $100,000 down payment wired from an overseas account through a Manhattan bank. In a statement Wednesday, Manhattan federal prosecutor Preet Bharara said, "The audacity of the plot should not cause doubt, but rather vigilance regarding others like Arbabsiar, who are enlisted as the violent emissaries of plotting foreign officials." "This office will continue to pursue the co-conspirators in this plot and others in Iran or elsewhere who try to export murder," he said.